As part of our Resources and Jails in CT, we created a list of all places where arrested individuals can be taken depending on the time of the arrest and age. Most prisons in Connecticut will allow a bondsman to post bail 24 hours especially local police departments. 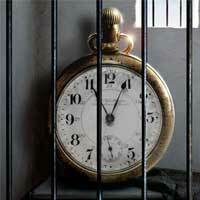 Correctional centers or large jails have a set schedule and will not allow bail agents to post bail 24 hours. About juveniles and minors in jail, be aware that there is extra documentation required to bail out minors in CT. 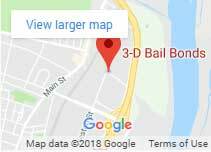 Please contact 3-D Bail Bonds for details. 3-D Bail Bonds Inc. is proud to have had a longstanding relationship and partnership with Accredited Surety and Casualty Company, Inc. since 1998. Accredited is located in Orlando, Florida, and was founded in 1971 by Hardy M. “Hank” Snow, Jr., a former law enforcement officer who began his bail bond career in 1953. 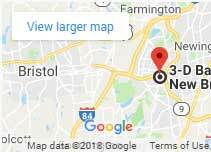 Accredited is one of the largest and most distinguished surety bail bond insurers in the country, representing many bail agents in Connecticut and thousands nationwide. The American Bail Coalition (ABC) is dedicated to the long term growth of the surety bail industry and protecting the constitutional right to bail in the Unites States. The mission of the Professional Bail Agents of the United States is to provide information, education and representation for the 15,000 bail agents nationwide. Since its founding in 1981, PBUS and its alliance with state associations have advanced the profession through legislative advocacy, professional networking, continuing education, support of bail agent certification, liability insurance and development of a code of ethics.